This past week I learned a new party trick. I can turn a holographic researcher beet red by simply referencing Tupac’s Hologram. It’s not because they identify strongly with East Coast hip-hop. Rather, it has to do with calling it a hologram in the first place. Normally, a hologram is a photographic recording of a light field, rather than of an image formed by a lens, and it is used to display a fully three-dimensional image of the holographed subject, which is seen without the aid of special glasses or other intermediate optics. … When suitably lit, the interference pattern diffracts the light into a reproduction of the original light field and the objects that were in it appear to still be there, exhibiting visual depth cues such as parallax and perspective that change realistically with any change in the relative position of the observer. Let there be a chamber wherein no other light comes, unless by the door or window where the spectator looks in. Let the whole window or part of it be of glass, as we used to do to keep out the cold. But let one part be polished, that there may be a Looking-glass on bothe sides, whence the spectator must look in. For the rest do nothing. Let pictures be set over against this window, marble statues and suchlike. For what is without will seem to be within, and what is behind the spectator’s back, he will think to be in the middle of the house, as far from the glass inward, as they stand from it outwardly, and clearly and certainly, that he will think he sees nothing but truth. But lest the skill should be known, let the part be made so where the ornament is, that the spectator may not see it, as above his head, that a pavement may come between above his head. And if an ingenious man do this, it is impossible that he should suppose that he is deceived. I learned this recently at a Microsoft Research Faculty Summit that brought together leading experts in machine vision, natural language processing, AI, etc. I was there to be on a panel about what academia could learn from the open source community. I’ll write more about this later when the video becomes available. At the conference reception dinner, I found myself in a conversation with some pioneers of holography and machine vision. During most of the conversation I wisely kept my mouth shut and did my best bobblehead impression. However, at one point I did open my mouth just long enough to betray my complete ignorance on the topic, asking the researchers about the Tupac Hologram. Dark clouds gathered overhead casting a pall on the once bright conversation. To their credit, with beads of sweat rolling off their foreheads under the strain of self-control, the researchers politely and calmly educated me about holography. 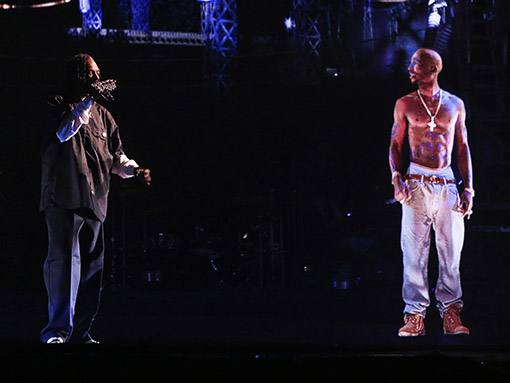 One key aspect of a hologram is that it does not require special equipment to see it. It’s a thing of beauty. It appears to be right there. By that definition, it occurred to me that HoloLens therefore isn’t a true hologram either. This came up in the conversation (but not by me as I decided to continue keeping my mouth shut) and the HoloLens researcher noted that while true, it’s much closer to the experience of a hologram than using the Pepper’s Ghost technique. So while it makes him cringe as someone who understands the distinction, it doesn’t make him as angry as it used to. So next time the topic of HoloLens comes up and someone uses the term holgram, you can pull an epic Well, Actually and come out of the conversation victorious! UPDATE: Daniel Rose left a comment pointing to this post that goes into more detail about holography and makes a convincing case that the distinction between what HoloLens does and holography is overly pedantic and not useful. It looks like the well actuallyer has been well actually’d! A more detailed discussion of this can be found at http://doc-ok.org/?p=1172 According to that list, while Tupac is "Definitely not holographic", HoloLens "if [marketing is] true then holographic". Thanks! I included it as an addendum.